That’s how Mike Maloney began his presentation at the Gold & Silver Summit in San Francisco last week. His 56-minute talk is now available by video (below) with just-released bonus features. It’s an exciting proclamation, though not everything coming will be pleasant. You’ll recall that Ben Bernanke was the head of the US Federal Reserve in 2002. He made a speech at the National Economist Club, titled “Deflation: Making Sure It Doesn’t Happen Here.” The presentation was posted on the Fed’s website. It is this speech that became Mike’s roadmap—and that’s because virtually everything then-chairman Bernanke said the Fed would do, they did. 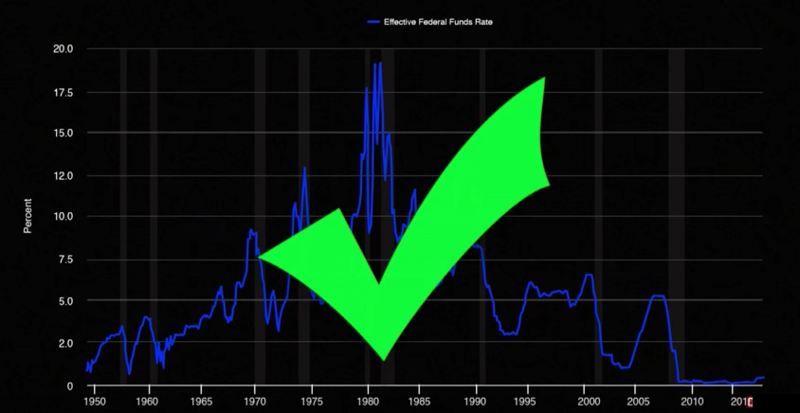 He said the Fed could drop interest rates at zero—they did that, too. As MBSs are backed by mortgages, this makes the Fed the largest holder of real estate in the world. You’ll also recall the US government purchased a 60.8% stake in General Motors, along with other central banks. The funds came through the US Treasury, which means this represented a direct use of Fed funds to buy a private company. • After all this intervention, after following the very roadmap Bernanke outlined, our economy must be soaring. But of course it’s not… we have the weakest economic recovery on record! In other words, this strategy—this roadmap—hasn’t worked. What’s incredible is that Japan and Europe are currently creating the equivalent of $180 billion every month, more than during the depths of the financial crisis! In other words, this roadmap from Ben Bernanke is still playing out today. 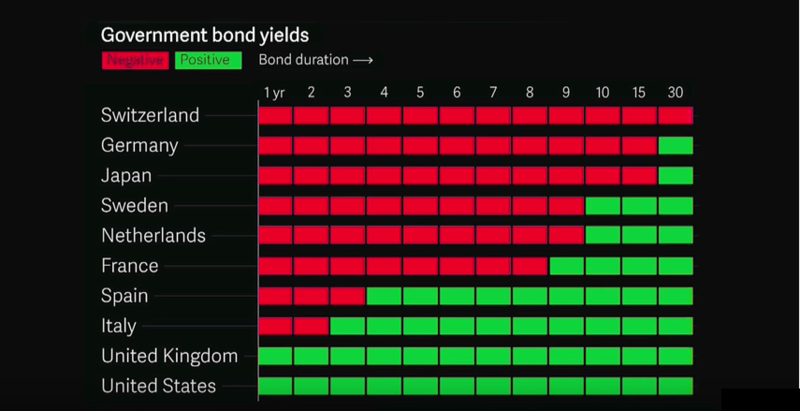 And it’s not just money creation… add in the fact that debt levels continue to soar, fiscal budgets remain in deficit, and numerous bond yields are negative in many parts of the world. Does all of this paint a picture of economic health? The upshot is that the global economy is not out of the woods. Central bankers have not been able to generate the growth and the inflation they want, and so continue pursuing all these financially unhealthy activities. Think about it… if the economy were healthy, would any of these interventions still be underway? Because global central bankers continue to print money, drive interest rates lower, run up debt levels, and spend more money than they bring in, we are headed for an even greater crisis than what we experienced in 2008. And because we know the roadmap central bankers are using, we know how to invest. The guarantee isn’t something printed on a coin or bar; the guarantee is that central banks will never stop creating currency. The next crisis will force central bankers to repeat all of the steps above. They’ll pull out the roadmap Ben wrote in 2002 and implement the same strategies.And those strategies from central banks will drive gold and silver to gain more in purchasing power than any other asset. This is a brief moment in history where we know exactly how to position our portfolios. Get more detail from Mike in his bonus features. Mike covers a number of critical topics, including Russia, Bitcoin, WWE (his term for nations attacking each other via electronic means), the long-term outlook for gold, and others. Watch the bonus features from his breakout session now.